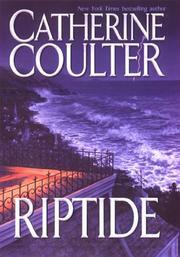 Regency novelist Coulter moved to suspense a few years back and now offers her fifth thriller (after The Edge, 1999, etc.). And what is a thriller these days without a serial killer? Becca Matlock, a speechwriter for the governor of New York, keeps getting threatening phone calls that accuse her of sleeping with the governor. She goes to the police in Albany, who think she's a liar, then to the police in New York City, who insult her when their investigation turns up no leads. Meanwhile, Becca's mother is dying, and Becca doesn't want leave her. But when the caller blows up a bag lady under her Manhattan apartment's balcony, then follows up (we assume) by shooting the governor through the neck just after he's addressed a medical convention, Becca flees the city and hides out in Riptide, Maine, where she rents an old Victorian house. Gosh, and who is there to greet her but her old geek friend from college, Tyler McBride, who has refashioned himself into a buff stud. Will the phone caller follow? Will night follow day?